An activist investor has built up a 15% stake in Swiss chemicals group Clariant and is vowing to fight its planned $20 billion merger with Huntsman. White Tale Holdings, an investment partnership created by hedge funds Corvex and 40 North, has written to Clariant's (CLZNY) board, urging them to rethink the deal. "It both significantly destroys existing Clariant shareholder value and prevents Clariant from pursuing multiple alternative and immediate opportunities to unlock value for its shareholders," the investor wrote in a letter published on Tuesday. "The proposed transaction has no strategic merit and is a complete reversal of your own publicly-stated strategy of becoming a pure-play specialty chemicals company." White Tale Holdings said it had become Clariant's biggest shareholder with a stake over just over 50 million shares and would vote against the merger unless the company explored "all strategic alternatives" to the deal. Clariant and U.S.-based Huntsman (HUN) unveiled plans to create a global specialty chemical company in May, saying they expected the transaction to close by the end of 2017. They said HuntsmanClariant would deliver annual costs savings worth more than $400 million, and enjoy a stronger market position in the U.S. and China. 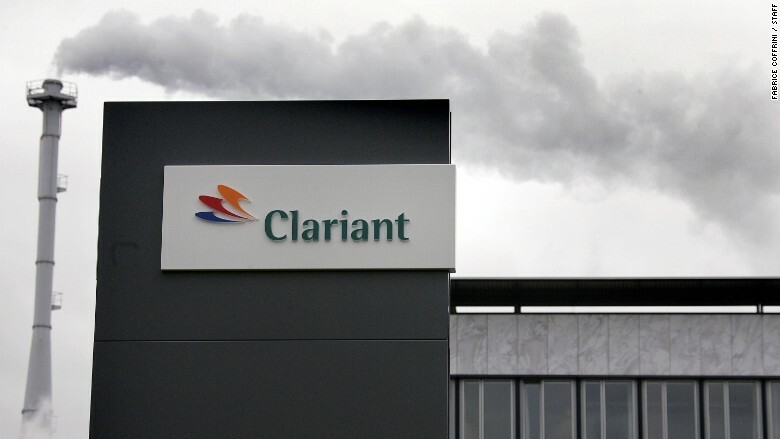 In a statement late Tuesday, Clariant rejected White Tale's criticisms and described the deal as the best option for creating value for all stakeholders. "Since announcement the vast majority of Clariant's shareholders have expressed their support for the deal," it said, adding that it would not deviate from the agreement with Huntsman. The deal has been billed as a "merger of equals" but Clariant shareholders would end up owning 52% of the combined company. "The Board plans to cede operational control of one of the industry's most prized specialty chemicals companies for no control premium to Huntsman's management," White Tale Holdings wrote, adding that it believed about 75% of the targeted cost savings could be delivered by Clariant on its own. Clariant denied that it would be ceding operational control, saying its CEO Hariolf Kottmann would become chairman, while Huntsman President and CEO Peter Huntsman would become CEO, of the new company. -- Correction: An earlier version of this article incorrectly stated that Huntsman shareholders would own most shares in the new company.